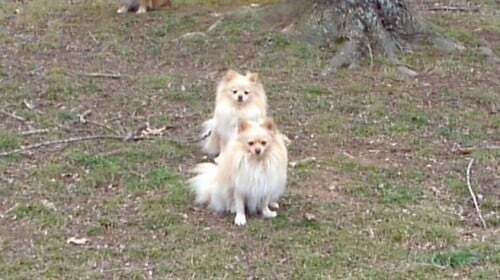 ALL these beautiful Pomeranians have now been rehomed in Tennessee and Florida. Thank you everyone who shared them across Twitter, Google+, Facebook, Pinterest, Blogs and to email contacts. We appreciate your support! 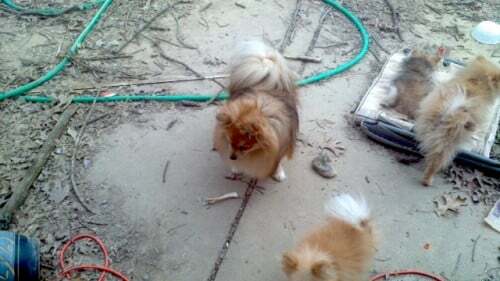 6 x Pomeranians recently rescued in Tennessee. They have transport to Georgia. There is also a one time transport available to the North West Florida panhandle region on August 26 if any of the dogs has a guaranteed home by that date. They need forever homes. The 3 adults all have beautiful coats and tails. The 2 puppies are in their coat change phase. Judging from the adults’ coats, I would expect the puppies to have nice coats once they reach adulthood. *** MALE – Jack, about 4 months old, a real beauty, orange sable color, high spirited, can jump up on anything. *** MALE – Tan, about 4 months, orange with cream markings (markings are like the typical Black & Tan pattern, but orange instead of black and cream instead of tan), judging from his paws and bone structure he will probably be large or oversized when fully grown, has a longer Spitz style snout. *** MALE – Brownie, less than 3 years old, 14 lbs, is a people dog, will catch your eye, is a foot warmer, good kisser, but waits for you to give permission, is excitable, but stays in place, plays with puppies, loves the outdoors, has never had a collar on. Orange Sable color. *** MALE – Snow Ball, less than 3 years old, about 10 lbs, cream color, lover, snuggler, will hang around you and not wonder off, is possessive, probably best in one dog home, has a cute guttural unique sound when he is irritated, gives gentle kisses or licks. *** MALE – Brother, 3 years old, almost fawn, but leaning cream, had a possible stroke of some kind, has periods where he stares at the ceiling and moves his head around like he is following a ghost, episodes are not frequent and do not last long, a lover that will sleep on his back anywhere he can, will lick your ear off in the morning so you can let him out.